Strong, fresh, grassy, citrusy, lemon peel-like, herbaceous, tea-like scent with earthy notes. 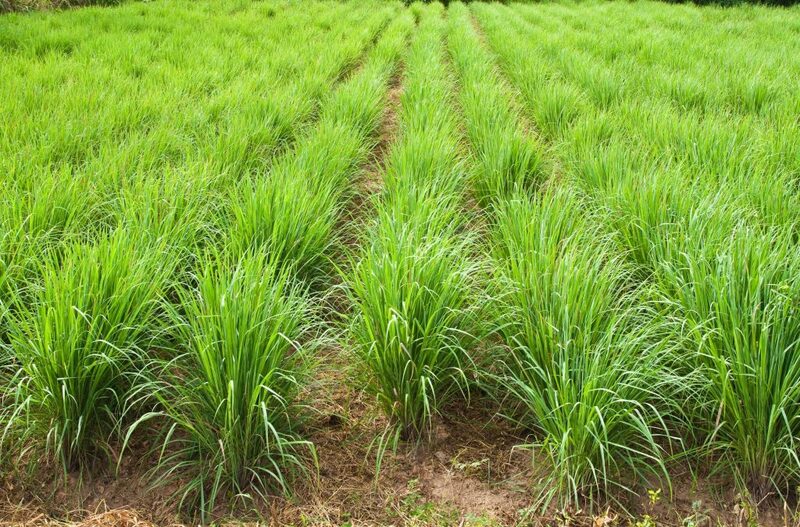 Lemongrass is a type of grass, where the whole plant is needed to make the pure essential oil. This unusual grass can grow to be about 2 feet tall, with sharp leaves. This grass does not sprout flowers. The grass is found naturally in Brazil, Sri Lanka, and Central Africa. This fragrant grass was used in the ancient cultures to normalize and ease symptoms of PMS. Lemongrass essential oil offers an earthy scent while blooming with bursts of citrus and floral fragrances. When used in moderation, it is an oil that prevents dry, oily skin and leaves an individual feeling utterly refreshed. Lemongrass aids the spirit by promoting clarity, and the dissolution of negative emotions. The mind is also helped by improving focus, and helps one get a good night’s rest. Lemongrass essential oil is beneficial when working through emotions of resentment. Lemongrass helps to let go of the past, increases clarity and cleanses the mind. Helpful to those who need to shed toxic energy, feel despair and who hoard possessions. If using Lemongrass for emotional wellness, try using it with our free EFT Tapping scripts for Clearing Generational Patterns, and Purification which help release these emotional issues. To improve focus, place 1 drop lemongrass on a tissue and inhale. To receive a restful sleep, vaporize 2 drops of lemongrass, with 2 drops of lavender as you sleep. To soothe physical tension, mix lemongrass with ginger and lavadin and massage it into the affected areas. To reduce constipation, mix lemongrass with coriander seed, and tangerine then apply it twice daily to the abdomen in a clockwise fashion. Possible drug interaction with diabetes medications. Potential teratogenic effects in high doses. Possible skin sensitization.​ May affect hypersensitive, diseased or damaged skin. A recommended dermal maximum of 0.7% to avoid skin sensitization. Characteristics Yellow to light brown liquid with strong fresh grassy-citrusy, lemon peel-like,herbaceous, tea-like odor.